A tour for international students in the GSII took place on October 28, and 23 students participated. As the title suggests, it consisted of three parts, as described in more detail below. 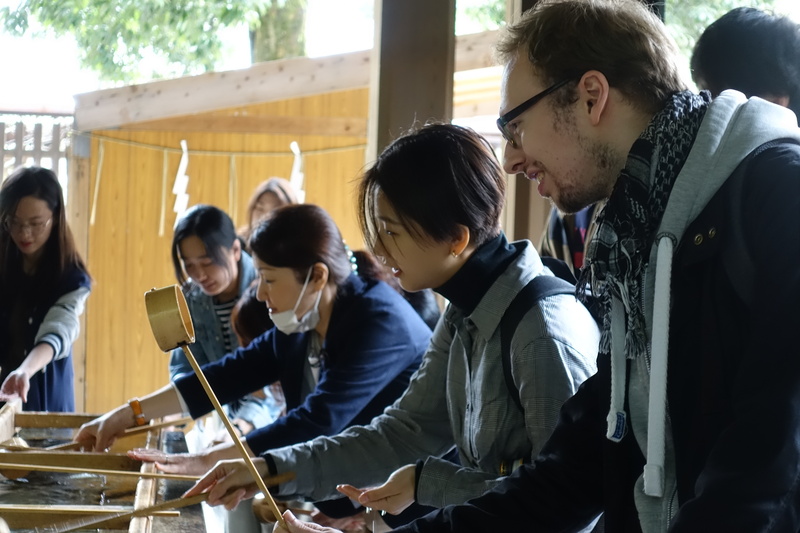 The first stop on the tour was the Shrine to the Meiji Emperor, where students were able to learn about Japanese history, traditional customs and religion. It being an especially auspicious day, they were also able to observe marriage ceremonies taking place at the shrine and children dressed up for the traditional celebration of Shichi-Go-San. As the next stop in the tour, NHK Broadcasting Center “Studio Park” offered the students a chance to familiarize themselves with the Japanese entertainment industry and televisual technology. 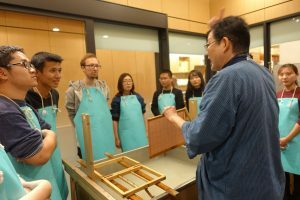 Many of the students had grown up with Japanese popular culture and enjoyed this opportunity for a first-hand encounter. Others were particularly interested in the hands-on technological exhibits at the center. 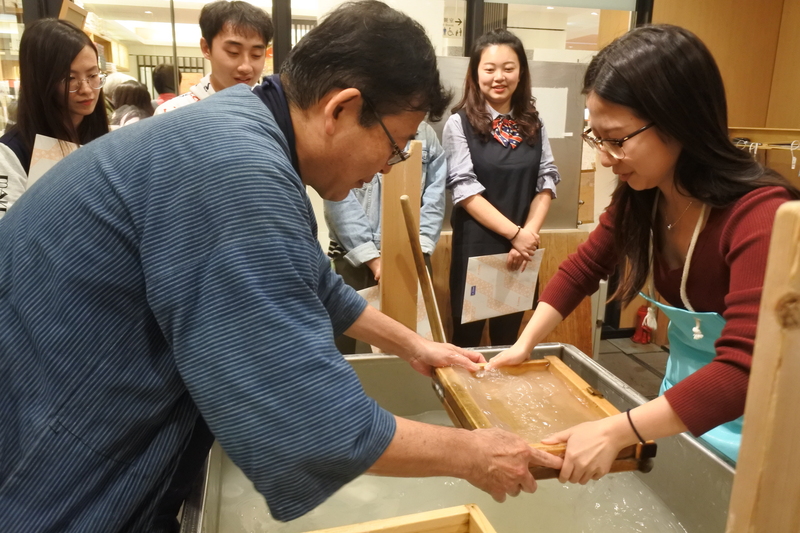 Following lunch at a sumo-themed restaurant in Ryogoku, the students visited the Ozu Washi store in Nihonbashi. After listening to a detailed lecture about the qualities, manufacture and uses of traditional handcrafted paper, they had a go at paper-making themselves, which was a new experience for most, including the accompanying staff members. 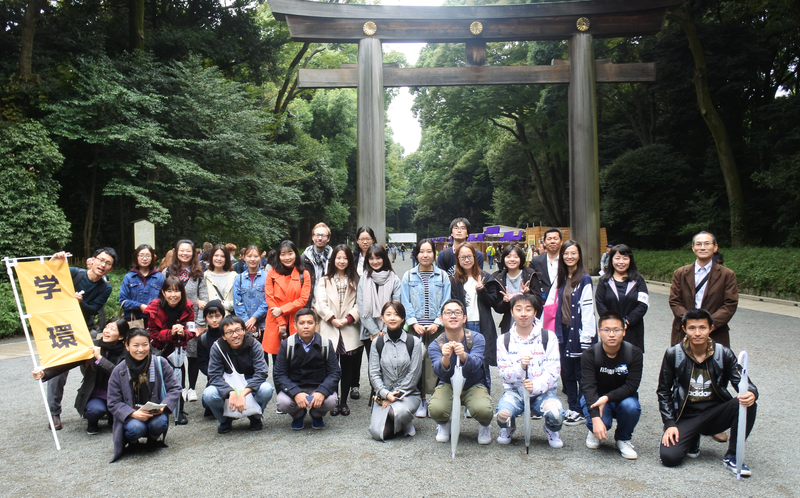 Besides acquiring new knowledge and experience from this visit, students also had a valuable chance to interact and develop new friendships among themselves through group activities. Being divided among different academic programs, there is often limited scope for students to interact with each other. Events like this tour, however, provide a valuable opportunity for the development of wider social networks. This is something which staff in the student support team are always keen to promote.